Fourth Circuit confirms stiff barriers to police interpreting defendants' words | Jon Katz, P.C. Police and prosecutors may be fond of presenting testimony to interpret alleged drug dealers’ words. However, they should beware, after the comparatively conservative (including for criminal cases) Fourth Circuit confirmed stiff barriers to such testimony. U.S. v. Johnson, 617 F.3d 286 (4th Cir., Aug. 16, 2010). Johnson reversed a cocaine conspiracy conviction, finding reversible error for the trial court’s overruling defense objections to (1) police officer lay testimony interpreting defendant Johnson’s English words, and (2) testimony from an alleged drug customer of the defendant, where the alleged purchasing took place several years before the alleged conspiracy began and with a different manner of selling than was presented as taking place during the course of the conspiracy. Q. ¦ Based on your investigation thus far, prior to the wiretap and now after the wiretap, what did”do the terms”what did Mr. Johnson’s part of the conversation midway down the page when they are talking about “hitting ya”, what did that mean to you? A. He’s referring [SIC] that when he is able to obtain cocaine, he’ll let Mr. Pickens know so they can purchase it or so he can purchase it. When asked how he knew that cocaine was the subject of the conversation, Agent Smith replied, “[j]ust based on other calls.” Id. Agent Smith translated “[s]omebody hit me on anything Ill let you know what’s happening,” to mean “when he’s [Johnson’s] able to get cocaine and drugs, he will call Mr. Pickens and let him know.” J.A. 95. Despite continually premising Agent Smith’s testimony on his “training and experience,” the government never proffered Agent Smith as an expert witness. Instead, the officer continued to offer his opinion regarding the nature of the phone calls between Pickens and Johnson. Although he maintained that the conversations referenced drug deals, Agent Smith admitted that “there was no information that . . . Mr. Pickens and Mr. Johnson actually conducted a drug transaction” during the time period that the phone calls took place. J.A. 104. He further testified that he was not the officer who conducted the surveillance in the investigation and could not offer testimony regarding what the surveillance uncovered. Here, Agent Smith did not testify to directly observing the surveillance or even listening to all of the relevant calls in question. Instead, much of his testimony was what should have been considered that of an expert, as he consistently supported his interpretations of the phone calls by referencing his experience as a DEA agent, the post-wiretap interviews he conducted, and statements made to him by co-defendants. None of this second-hand information qualifies as the foundational personal perception needed under Rule 701. As such, the district court abused its discretion in admitting Agent Smith’s testimony as a lay witness under Rule 701. Furthermore, the government offered no direct evidence that linked Johnson to the charged conspiracy aside from the testimony of Holloway. No drugs were found, no financial evidence was presented and there was no surveillance that captured Johnson engaging in illicit activity, despite the extensive investigation mounted by the local DEA. Thus, where three drug-dealer witnesses had considerable credibility issues in a case with little additional evidence, Agent Smith’s testimony leant credence to their claims because his wiretap interpretations supported their testimony that Johnson was in fact involved in drug dealing. Had Agent Smith’s testimony been excluded, the jury would have weighed the testimony of Johnson, a veteran and former law enforcement officer with no criminal record, against that of a convicted drug dealer and two co-defendants with long rap sheets. Where Agent Smith’s testimony buttressed evidence against Johnson that was otherwise weak, “we cannot conclude that the evidence was unimportant or was not a substantial factor in the jury’s verdict.” United States v. Grinage, 390 F.3d 746, 751 (2nd Cir. 2004); see also Peoples, 250 F.3d at 642 (holding the Rule 701 error was not harmless where the jury may have found the testimony of a co-conspirator “inadequate to support a guilty verdict beyond a reasonable doubt had it not been buttressed by [the agent’s] supporting information and opinions.”). We thus cannot find that admission of Agent Smith’s testimony was harmless where it bolstered the scant, conflicting, and not entirely credible evidence against Johnson. 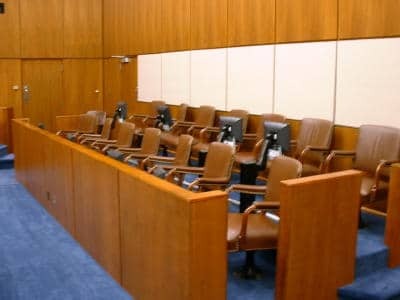 Although Johnson leaves room for circumstances where harmless error is found when trial judges allow police testimony interpreting a defendant’s English communication, under Johnson, trial judges -“ at least in the Fourth Circuit “- are likely to be wary of allowing such testimony, lest they be reversed.